Both the Samsung Galaxy S6 and HTC One M9 are going to be unveiled this Sunday, at dueling press events in Barcelona, Spain. The Galaxy S6 is still mostly a mystery, meaning, we haven’t seen the device in the wild at all. Samsung has become a pro at keeping its flagship devices under lock and key up until they are ready for public consumption. HTC, on the other hand, is pretty terrible at keeping anything a secret. Well, that’s assuming they aren’t pulling off the ultimate troll job with the current batch of leaks that have sprung up throughout the last few weeks. So far, though, we think we know that the Galaxy S6 will use an Exynos processor instead of the new Qualcomm Snapdragon 810 that will be featured in the HTC One M9. Each will likely have displays around 5-inches, but Samsung could go with a QHD resolution and an AMOLED panel, whereas HTC will stick with 1080p and LCD. The HTC One M9 might look identical to last year’s One (M8), sans the Duo Camera gimmick. The Galaxy S6, well, we have no idea what it looks like, only that it will be made of metal and glass. Each will feature high resolution cameras, upgraded selfie-shooters, and their own skins atop Android. Both, by all means, will be outstanding flagships, even if one might look like a re-hash of a 2014 phone. With all of the current leaks in mind, our poll today only asks that you pick which one you are currently leaning towards. Maybe not necessarily to buy, but which is the most interesting to you as of today. I know my pick. I think I know Tim’s pick as well. What is yours? 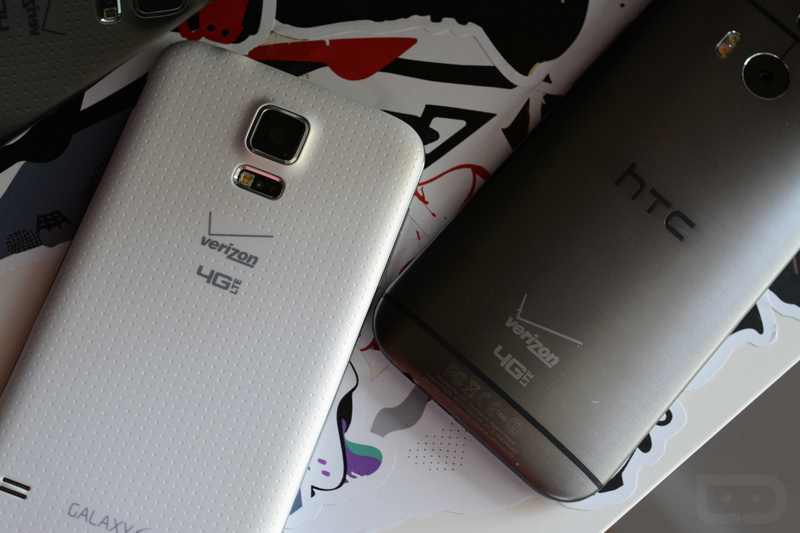 As of today, which phone is the most interesting to you - HTC One M9 or the Galaxy S6?